XXXHOLiC Rei #4 climbed to the 5th position in Oricon’s weekly comic ranking, with 72.656 copies sold on its second week of sales and an estimate of 176,575 copies sold overall. Although it climbed two positions in comparison to last week’s chart, this is the worst second week performance for a XXXHOLiC volume since I started taking record of sales (volume 13). 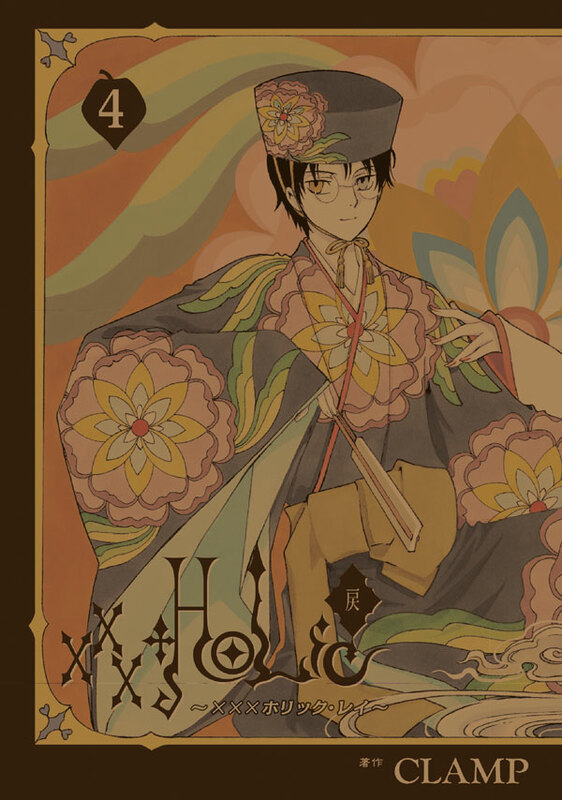 It is also the worst overall sales for a XXXHOLiC volume two weeks after its release. These numbers are only for the regular edition. Numbers for the Blu-Ray limited edition are unknown but they are probably lower than 12.420, which is how much the last position sold this past week. For comparison’s sake, the first three volumes of XXXHOLiC Rei sold 85.158, 73,911 and 76,331 copies on their second week of sales, respectively. It is likely that XXXHOLiC Rei #4 will show up again next week on Oricon, if that is the case, I’ll post here about its performance. Much like Tsubasa, XXXHOLiC is slowly selling less and less copies by each new volume. Could this be a sign of XXXHOLiC loosing its popularity? Either way, Kodansha doesn’t seem to care much about that, what with the release of limited editions for each volume, the upcoming Tsubasa guide books and mini-artbook and XXXHOLiC‘s theatre adaptation. Both series are selling fairly well, but clearly not as they used to. On another note, the release dates for the upcoming Tsubasa guide books and mini-artbook have been postponed. Please check this post for the updated release dates. this is sadly a possibility. for too long both stories have been sloooowww and stalling plot wise. but at the same time both stories have the potential to tie up loose ends and plot holes to finish things off nicely/ bitter sweetly depending on the outcome of course. we know watanukis end… but could that ending change i wonder? who knows. either way, these stories still have enough fuel to keep going, just hopefully CLAMP will grab onto a strong plot with both stories now they’re back, instead of a what the hell, story going no where again.